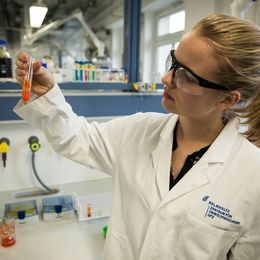 At Alfred Wegener Institute, Helmholtz Centre for Polar and Marine Research, you are invited to investigate the mysteries of the seas, the secrets of sea ice and the diversity of life at the bottom of the ocean. 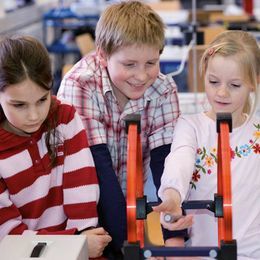 The main concern of the school labs at the Deutsche Elektronen-Synchrotron DESY is to make physical insights come to life. DESY has two research facilities in two locations: Hamburg and Zeuthen (Brandenburg) near Berlin. 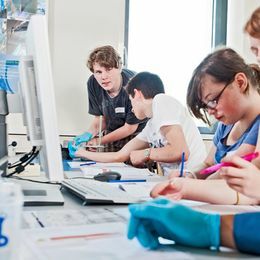 The "Life Science Lab" at the German Cancer Research Center (Deutsches Krebsforschungszentrum DKFZ) in Heidelberg particularly stimulates talented and interested pupils. They are called Lab-Students and they have one goal: they want to find the answers to many of the big questions. To fathom the mysteries of flying, to set satellites on their course, to fetch comets into the laboratory, to employ ciliates as miniature astronauts, to breath life into robots, to work with radiant tools and to look deep into the heart of a gas turbine. 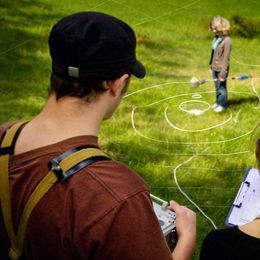 JuLab has the goal of motivating young people for natural sciences, to arouse their interest and joy in technology and to bring them closer to the questions of the future. 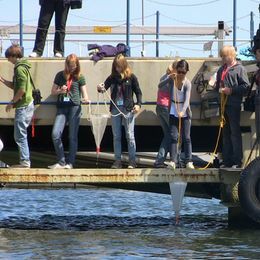 At GEOMAR Helmholtz Centre for Ocean Research Kiel topics in marine biology, chemistry, physics and geology offer themselves for active exploration projects by young people. Anything but "dry" content...! 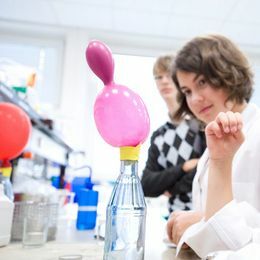 Sunny times for all those who want to take a brief excursion into the world of physics research: At the Helmholtz-Centre for Materials and Energy you can learn interesting stuff about the research on solar energy and the structure of matter. 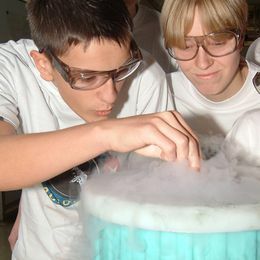 School Lab "Insight into Matter"
Whether magnetism, optics, materials research or radioactivity - DeltaX school lab offers space for science-related experiments and topics that are not always possible in this way in the classroom. Our offers are directed to all inquisitive students starting from grade five. Nature is full of variation: each hair, each skin particle, every human cell however small contains unequivocal information on its origin just like a computer chip. To reckognize and analyze current problems of the environment, to find and implement solutions for them and to strategically plan what could be our energy sources in the future - all of these are topics in environmental research. 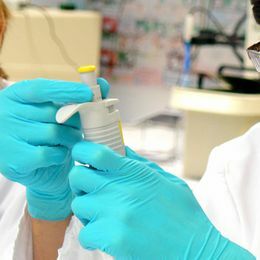 A visit to the UFZ school lab offers a glimpse into this line of research. What to do when fossile energies are spent? Which renewable sources of energy can be used, and how? What is contained in water? 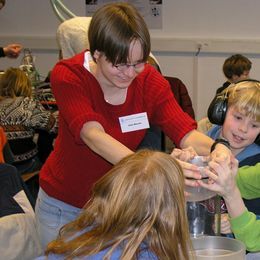 What do geoscientists do anyway? 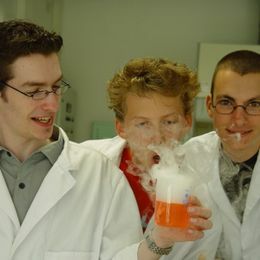 At Helmholtz Centre Potsdam, the German Research Centre for Geosciences, the members of staff thought of quite a few things to offer future scientists a glimpse into their work. 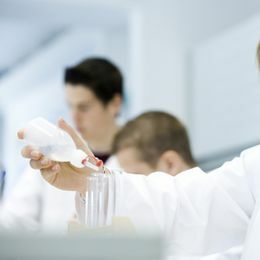 Today's interested students are tomorrow's successful researchers. This insight occured already quite early to the people in charge at the Karlsruhe Institute for Technology (KIT). Goethe has his Mephisto say to Faust: "Blood is a juice with curious properties". 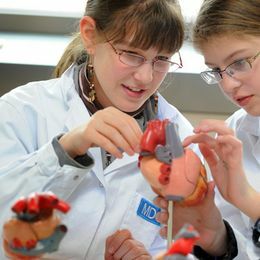 At the "Life Science Learning Lab" which runs one of two school labs at Max-Delbrück-Centre for Molecular Medicine in the Helmholtz Association, school groups are able to experience just how gripping biology lessons close to practical issues can be. 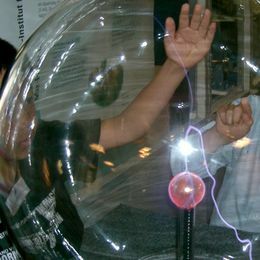 Vision: Electrical energy from a fusion reactor. We imitate the sun! Quite exciting what researchers find out about the smallest particles of matter. 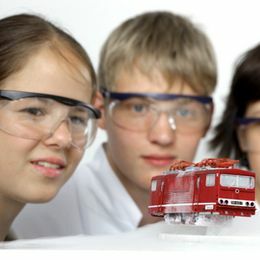 Science shows for children and youth, visits at the sites at Garching near Munich and Greifswald are possible options.